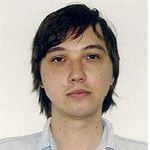 Alexandru Stefanov received his BSEE and MSEE degrees from Politehnica University of Bucharest, Romania, in 2009 and 2011, respectively. He is currently pursuing his Ph.D. in School of Electrical, Electronic and Mechanical Engineering at University College Dublin, Ireland. His research interests include cyber security in EMS/SCADA systems, impact analysis and power systems mitigation strategies.